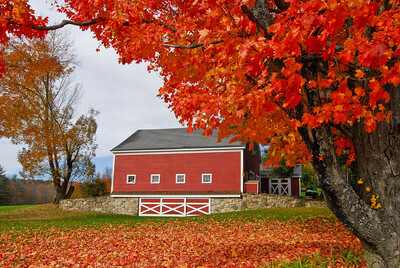 A mixture of photos to showcase my style. 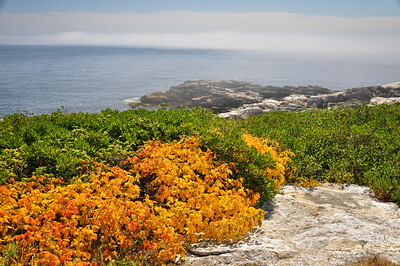 Coastal scene in layers of fog, rocks, and colorful shoreline vegetation. 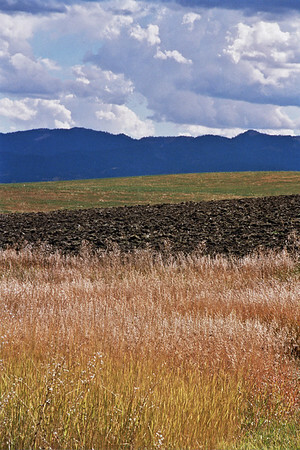 Patterns of grasses, cultivated field, and mountain range under cloudy skies, layers of color in Idaho. 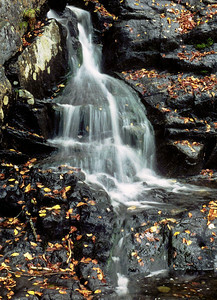 Waterfall flows over rocks in a white veil,with autumn leaves, Rumney, NH. 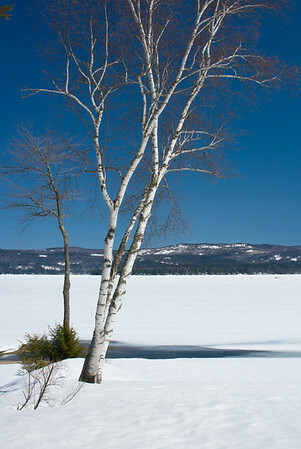 Birch tree along shore of frozen Newfound Lake in winter. 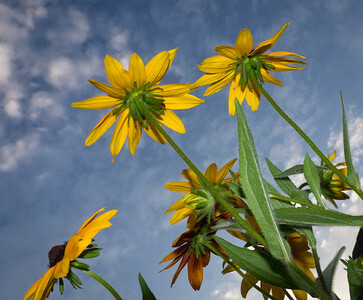 Black-eyed Susans shot from below, looking up into a blue sky. 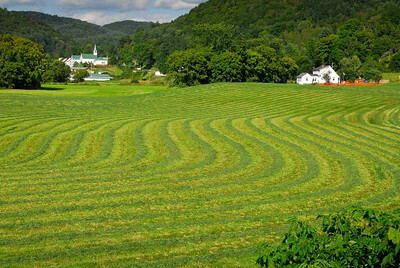 Newly mowed hay field with curving windrows of hay, classic white church in distance. 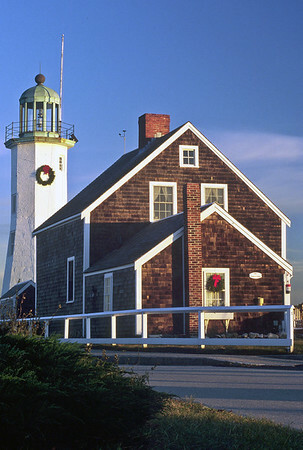 Olde Scituate Lighthouse with Christmas wreaths in early winter with no snow, Scituate, MA. 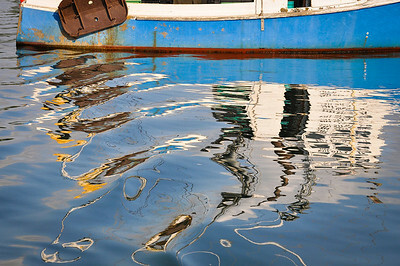 Whirly Reflections of fishing boat in nice blue tones. 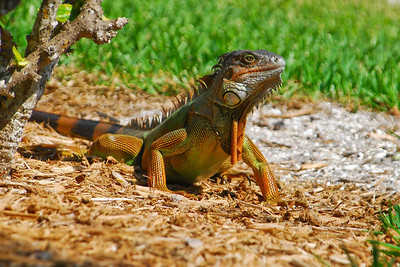 Wanna Play Ball With Me?!? Wanna Play Ball With Me?!? 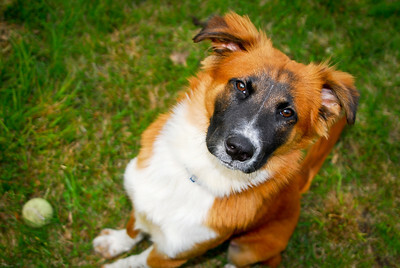 Six month old red border collie pauses during playtime with yellow tennis ball. 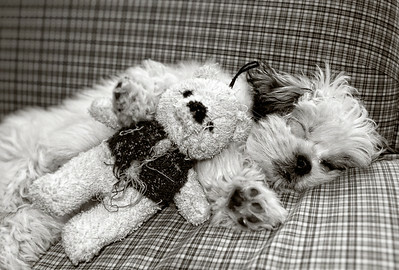 Dog sleeps on couch beside her look-alike teddy bear, who's obviously well-loved. 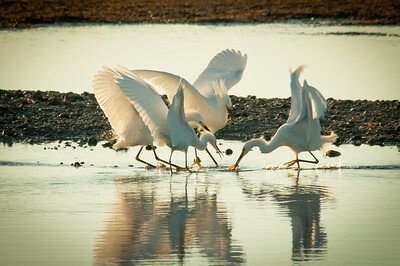 Egrets in a scuffle over a shrimp one of them has just caught, wings outstretched. 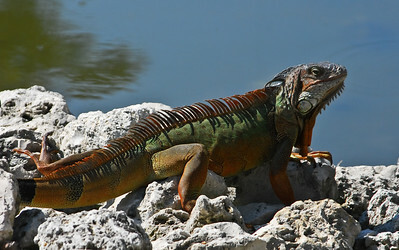 Colorful iguana poses on rocks, showcasing the sharp tines along his dorsal ridge, Sanibel Island, Fl. 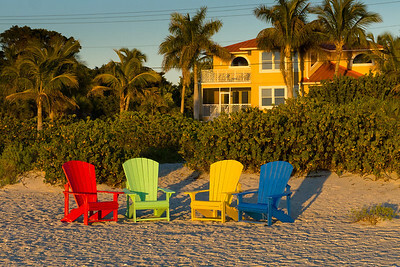 Last light on gathering of adirondack chairs at the beach. 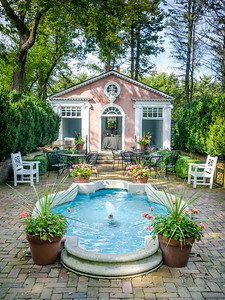 Patio umbrellas of outside seating area at restaurant, early summer downtown scene before the crowds. 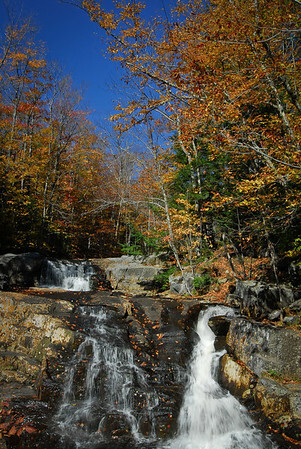 Vertical view of multiple waterfalls surrounded by bedrock & fall colors, blue sky. 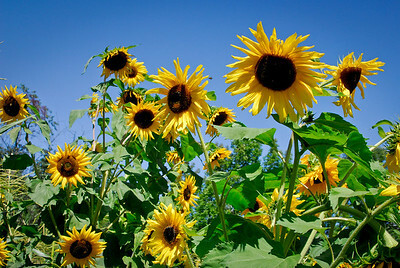 Bright yellow sunflowers tower overhead, against a blue sky. 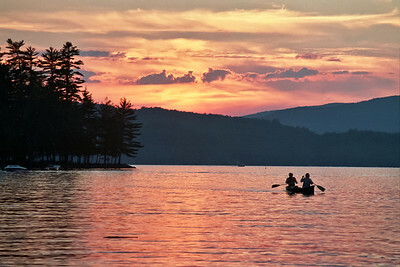 Canoe, with two passengers, paddling along at sunset on Newfound Lake, Bridgewater, NH. 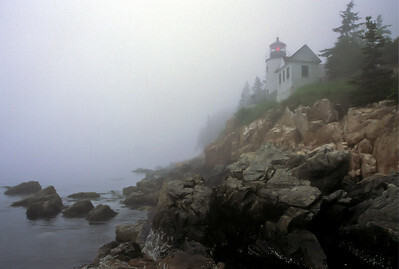 Bass Harbor Head Light in the fog, seen from waters edge, Acadia National Park, Mount Desert Island, Tremont, ME. 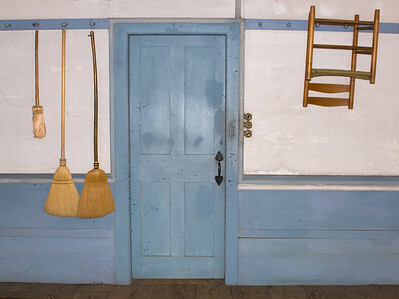 Brooms and chair hanging on wall pegs, rustic blue & white paint scheme at historic Canterbury Shaker Village. WHAT mess Mommy ?!? 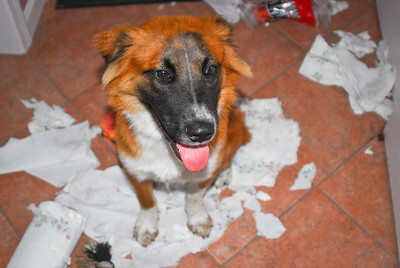 Amaretto and his paper towel tearup, young puppy who was destructive while left alone for an hour. 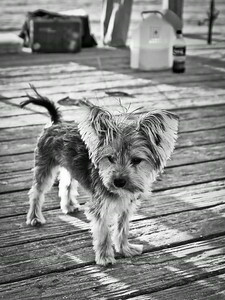 Cute little dog on wooden fishing pier, with strong backlight highlighting his fur. 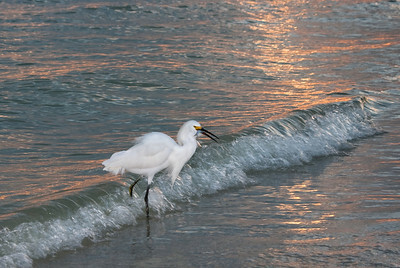 A Snowy Egret in the surf at sunset with his catch, Sanibel Island, FL. 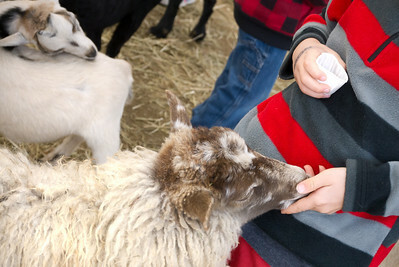 Sheep being hand-fed by young boy in petting area at the Sandwich Fair, Sandwich, NH. 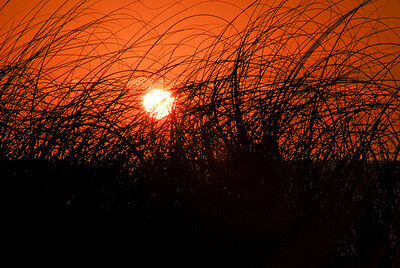 Sunset through tall, wispy beach grasses, Sanibel Island, FL. 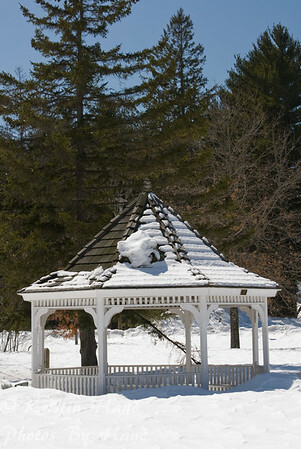 Designs of snow covered gazebo in winter, with interesting architectural accents and snow patterns on roof. 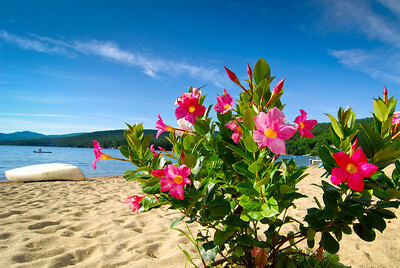 Tropical pink flowers on plant on beach, with birch bark canoe, raft & distant mountains. 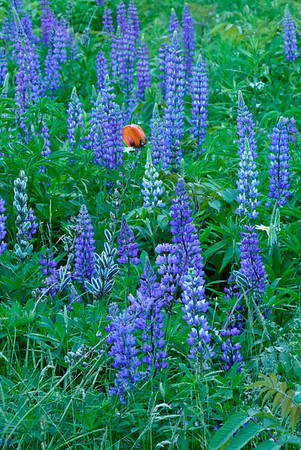 One lone poppy is a dash of red among purple lupines in spring. 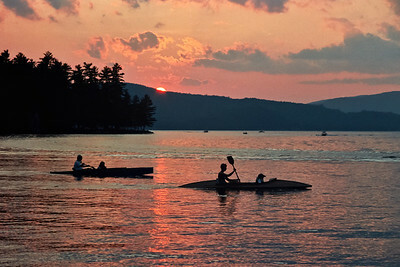 Two kayaks, each with one adult & one child passenger, cruising along at sunset on Newfound Lake, Bridgewater, NH. 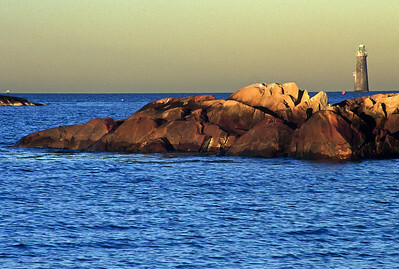 Minot Light sits out to sea beyond rocks at mid-tide, Cohasset, MA. 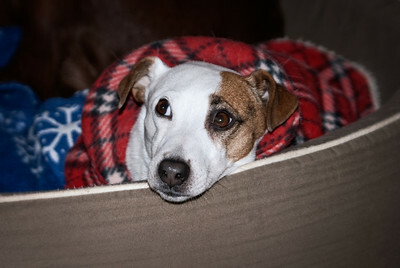 Jack Russel terrier all cozy in his/her bed in winter. 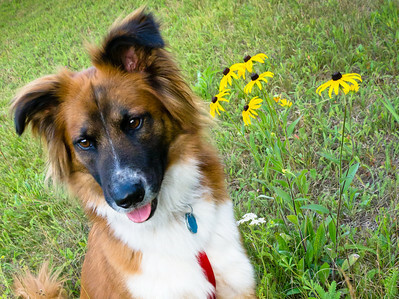 Young Boder collie poses beside flowers in summer. 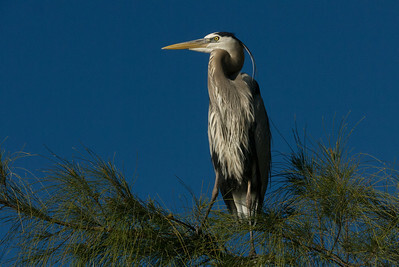 Blue heron details on pine branch, against deep blue sky background. 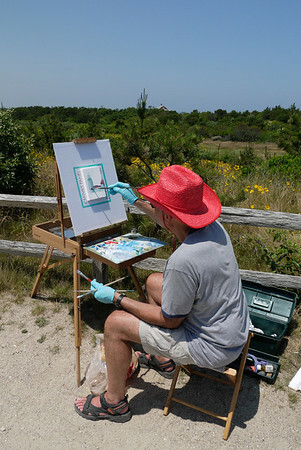 Artist at work, painting the lighthouse, Highland Light, Truro, MA. 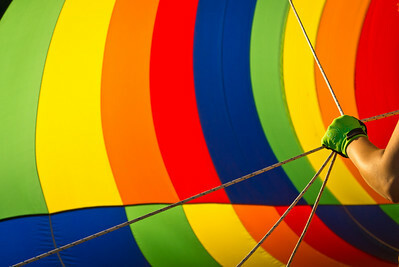 One strong arm holding onto the ropes that hold a hot air balloon while it is being inflated. 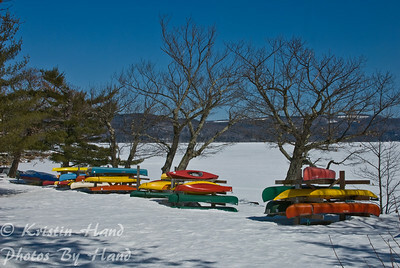 A rainbow of colors are backlit. 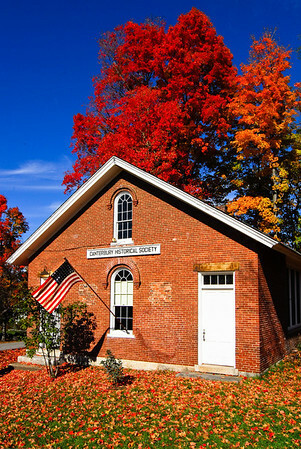 Green District One room schoolhouse, circa 1850, surrounded by fall color in trees, Canterbury Village, NH. 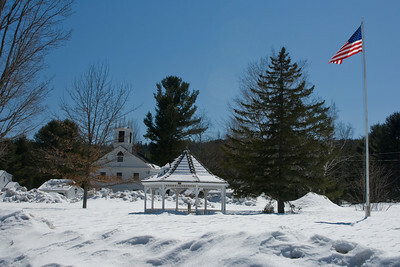 Gazebo, American flag, and meeting house on town common, with plenty of snow. 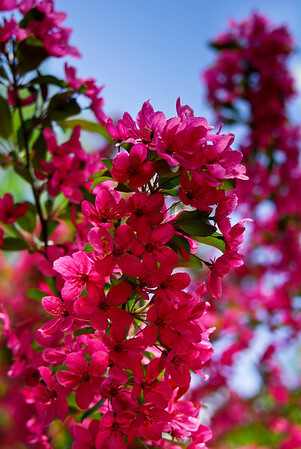 Cherry tree branches in bloom reach to the sky. 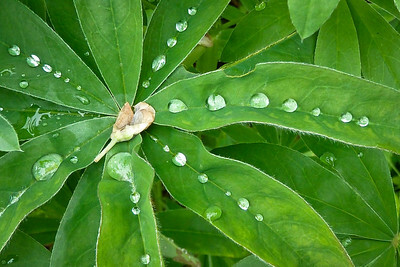 Raindrops in rows on lupine leaves in spring, pattern shot. 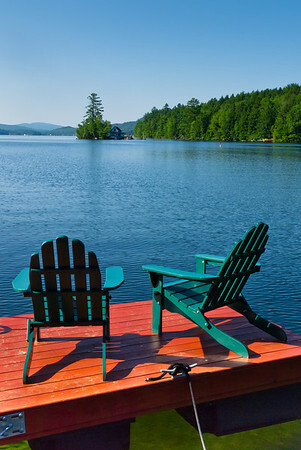 A pair of adirondack chairs sit atop a raft in Newfound Lake, with views to little Loon Island. 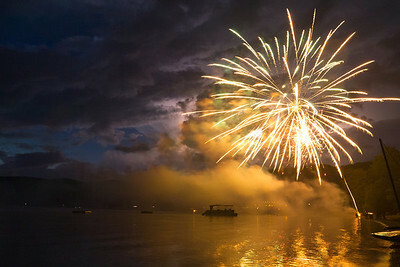 Fireworks bursting over Pasquaney Bay on Fourth of July, Newfound Lake, NH. 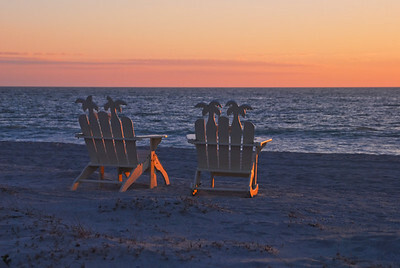 Pink sky and last light on pair of fancy adirondack chairs on beach, palm tree shaped slats, Captiva Island, Fl. 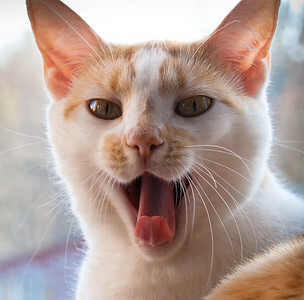 Backlit Kitten yawns as it sits on the windowsill. 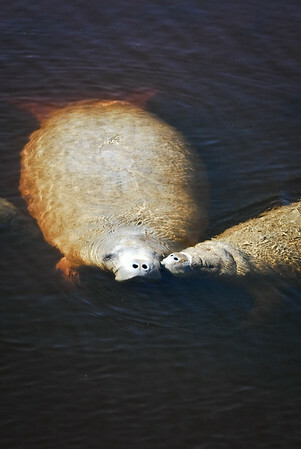 Baby Manatee kissing its momma, at surface of water, Fort Myers, FL. 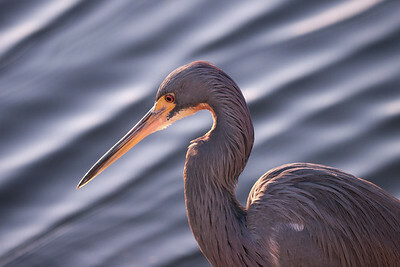 Blue heron details against water background. 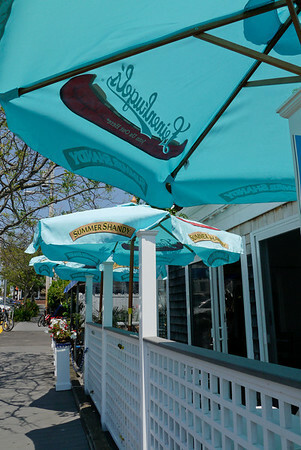 Two dogs share a rest & an ice cream cone with their owner. 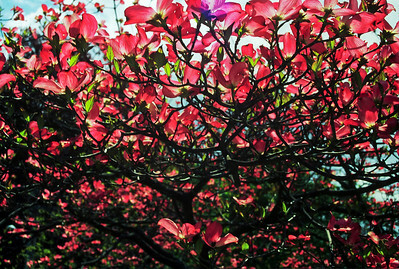 Flowering tree in spring viewed from below, with sunlight seen through petals, Hingham, MA. 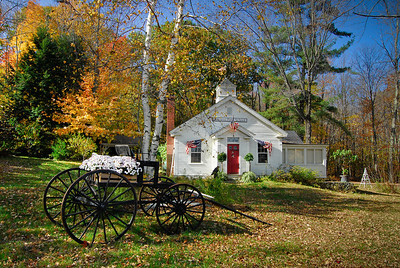 Jenness Pond School, circa 1793, with American flag and patriotic buntings, carriage with mums, and fall color, Northwood, NH. 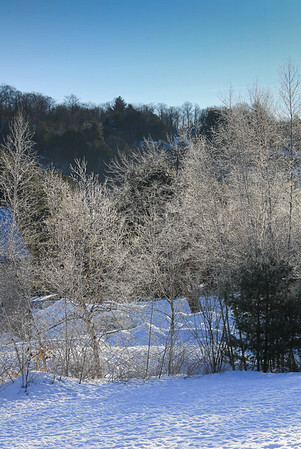 Icy trees against dark hillside, frosted branches shine in the morning sun. 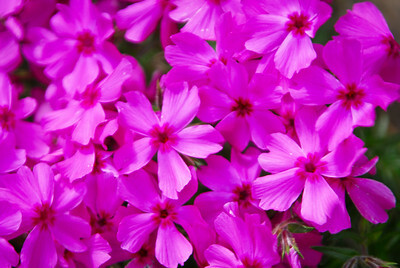 Tight detail shot of pink flowers in spring. 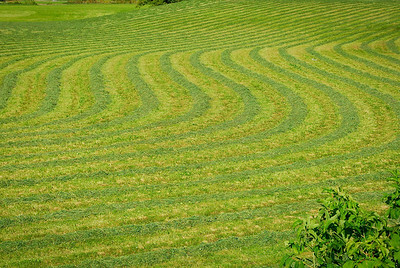 Curving windrows of hay form a design, when viewed closely. 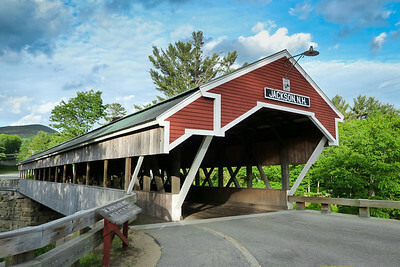 Jackson Covered Bridge in spring, NH Covered Bridge number 51, built in 1876. 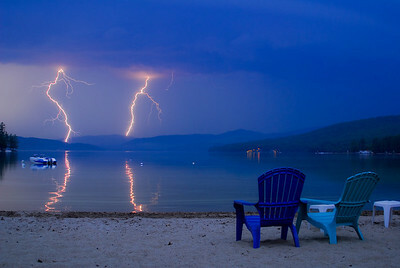 An electric show of two lightning bolts over Newfound Lake. 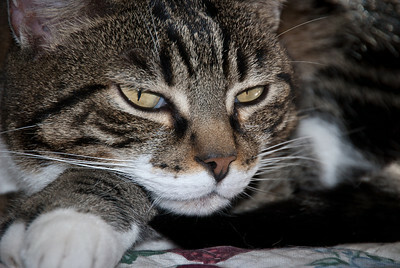 Tight shot of kitty resting on paws, with tail tucked under. 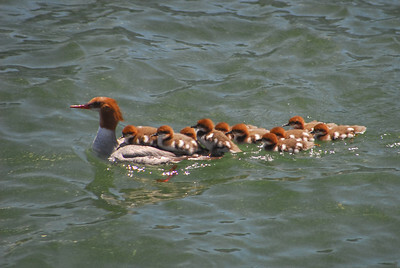 Merganser mommy & her chicks swimming in Lake Winnipesaukee, several are riding upon her back as she swims. 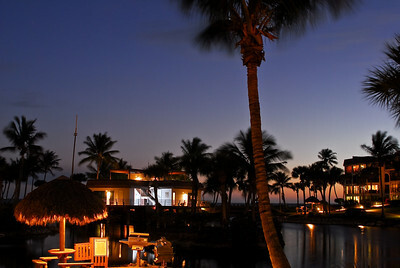 The others try to keep up. Model with beautiful eyes poses in a understated blouse.